as the 2019/2020 jamb comes to an end most aspirant of UNN have been asking when will the post UTME screening form be out and what will it look like? tell you when the post UTME form of the university of Nigeria shall be out, we shall also teach you how to calculate your screening score and also the cut off mark for various departments which is a must you get familiarize with it. 0.2 how much is UNN post utme screening form? Before you purchase the post UTME screening form of UNN you must score nothing less than 180 mark in jamb. Apart from the cut off mark make sure you choose UNN as your first choice. Finally you should have at least 5 credits pass in your O level results of which the use of english language should be among. how much is UNN post utme screening form? the screening form is 2,000. Jamb has directed all institutions to sell the much anticipated screening form of the university of Nigeria Nsukka at nothing more than 2000 naira. Please note that this exclude bank charges and processing fees as you might even choose to process it your self because it is not that difficult. once you have purchased the screening form which should cost nothing less than 2000 naira. you are meant to follow this guide to successfully process your forms. Dont fail to generate your invoice, after that rush to the nearest bank to make your payment. you should enter your bio data such as your names, o level results, date of birth. when done uploading this document, submit your application and don’t fail to print the acknowledgement slip which you must present during your screening exercise. the screening date has not been made known yet but but it should be few months after jamb releases all results. So keep visiting this page for more update and further directives. as at the time of compiling this article we have to details about the much anticipated UNN direct entry forms, but don’t worry any time an update comes up we will inform you instantly. Please while coming to the hall keep your handset and other gadgets at home, don’t bring any calculator. be at the exam venue on time and don’t enter the premises with your loved ones. always abide by the rules and regulations sets up by the school authorities. Have you ever ask this question “How did UNN Calculate their Aggregate Score?” most times we get astonished and try to get a clear picture on how the university of Nigeria Nsukka calculates their marks but everything looks sketchy as no formal explanation is on the school official portal. In this section we will attempt to clarify certain issues that have been kept secret from candidates. First what is the aggregate score of your JAMB result? The aggregate score is just 60% while on the other hand your post UTME score and O level results will take 40%. Now since we have known that 60% or 0.6 is for JAMB, now simply multiply your jamb score by 0.6 then keep it one side. On the other hand, you also need to multiply your university of Nigeria Nsukka post UTME score by 0.4. The last steps involves you to add your score both post UTME and JAMB to get your final score. One thing you should note here is that your JAMB score plays an important roles in making things easier and also increasing your chances of being admitted. Number of Sittings: are you combining your O level results while applying for any programme in the university of Nigeria Nsukka? If yes be sure to get 6 points, if you are making use of one result then the university of Nigeria Nsukka will award you with 10 point. O level results: before applying for any course in the university of Nigeria Nsukka, what’s your O level grades are like? Is it A or B through out? This also determines. Jamb Score: this is the first factor, failure in this means that one will have to retake jamb. Departmental cut off marks: what’s your cut off mark like? Did you reach the departmental cut off mark of any department in the university of Nigeria Nsukka? Catchment policy: this area don’t have anything to do with merit, here if you are from an area considered as Educationally less state it will give you a boost. The University of Nigeria is known by most Nigerians as UNN which is the short form of University of Nigeria Nsukka. Please note that the university of Nigeria has several campuses which we will also throw some light on,the first latter of the town where these campuses are located are added to UN. Like Nsukka is added to UNN, while the the Enugu campus is add to UN to get UNEC. 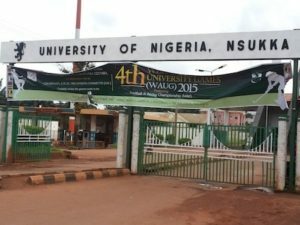 as you all know UNN main campus is located in a remote town called Nsukka which is located in Enugu state a neighbouring state to Anambra, this campus is the most popular campuses . Ituku-Ozalla: this campus of UNN is said to house some important medical facilities and Departments. The renowned teaching hospital (UNTH) is located here not only that the faculty of Dentistry is also located here. hope this article is helpful to you? please don’t hesitate to ask any questions in areas where you are confused. Finally share this articles with your friends on Facebook and Twitter page.